JASON BARTLETT has over fifteen years of experience in intellectual property litigation, commercial arbitration, and licensing. His engagements have involved a broad range of technologies and industries. 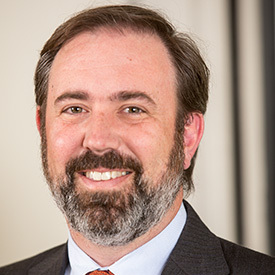 In computers and consumer electronics, he has litigated and advised companies on design and utility patents relating to smartphone software and hardware, cellular telecommunications standards, self-balancing human transporters (“hoverboards”), drones, human-computer interfaces, global positioning systems, computer animation software, and field programmable gate array hardware. In the life sciences, he has experience with monoclonal antibody therapeutics and diagnostics, vaccines, and medical devices. Jason has represented clients in matters in the U.S. District Courts, the International Trade Commission, the U.S. Patent and Trademark Office, Tokyo District Court, and a variety of international arbitral fora. Jason has extensive experience representing clients in Asia and spent four years practicing in Tokyo. Jason joins MKW from Morrison & Forester where he was a partner in that firm’s Intellectual Property Group. Member of team that successfully tried a high‐profile smartphone case in the Northern District of California leading to a jury verdict of over $1 billion. Co‐lead counsel in JAMS patent arbitration relating to GPS tracking technology. Lead counsel in district court litigation involving technology for realistic simulation of large geometric systems. Lead counsel in district court litigation involving dispute arising among former founders of ecommerce startup. Advise self-balancing transporter startup regarding intellectual property landscape and develop intellectual property strategy for new products. Counsel in arbitration involving cross-border technology license to patents claiming cellular telecommunications standards. Lead counsel for global health organization in dispute and license negotiations pertaining to vaccine‐related technologies. Counsel for defendant in Northern District of California medical device patent case involving blood glucose sensors.